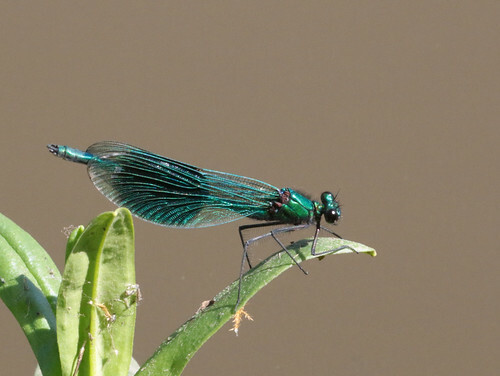 A very obliging banded demoiselle, having a little rest on a water plant in the canal. Are you overpaid or underpaid for the work you do (or last did)? I would say I’m adequately paid from the point of view of working in a support role in academia. If the powers that be decide to gut my pension in the next two years, though, I will consider this job to be inadequately compensated for a lifetime’s service. Also, if I were working in industry doing the same sort of thing, for my current salary with my qualifications and level of experience, I would likely consider myself underpaid. What one thing do you dislike most about your work? What one thing would make your work life happier or more satisfying? [ALSO REDACTED] Can you tell I don’t want to talk about it? Do you try to fit into your workplace’s culture? What does that entail? My workplace’s culture is pretty relaxed, so I fit in just fine. If I were in the office more frequently, I would probably drag everyone to the pub more often, but we do pretty well on socialising outside of work even without that. This entry was originally posted at https://nanila.dreamwidth.org/1169439.html. The titration count is at .0 pKa. Did you really take that photo? Because wow. Yes I did. Thank you!